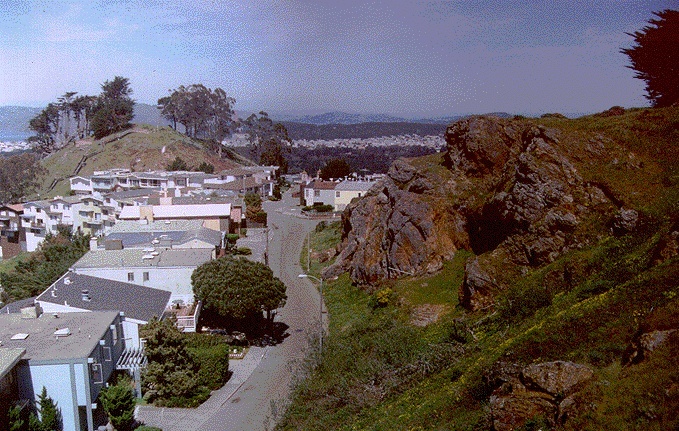 Northerly view of Grand View Park from apx. 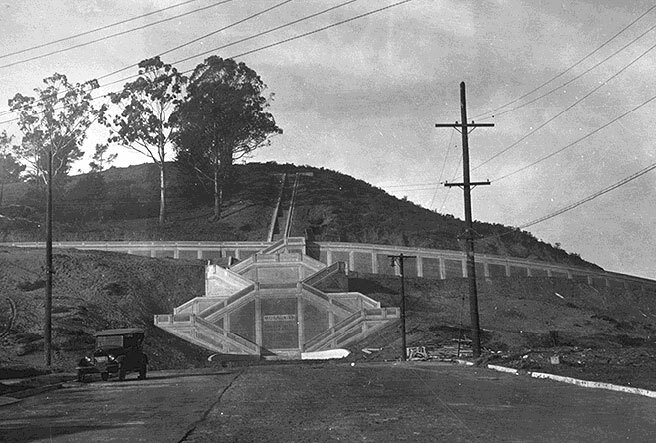 14th Avenue above Moraga, mid-1990s. 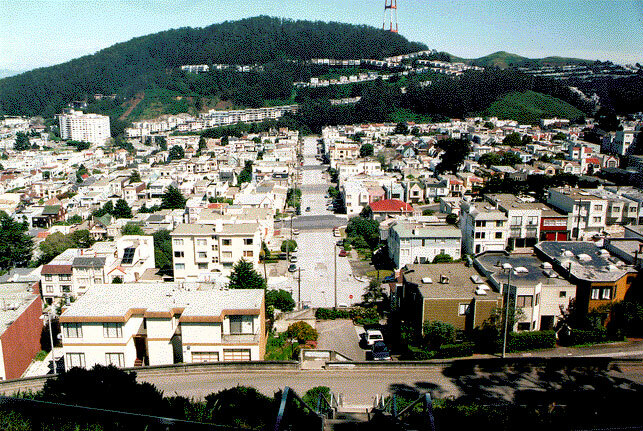 Easterly view at top of steps on Grand View Peak, 1996. 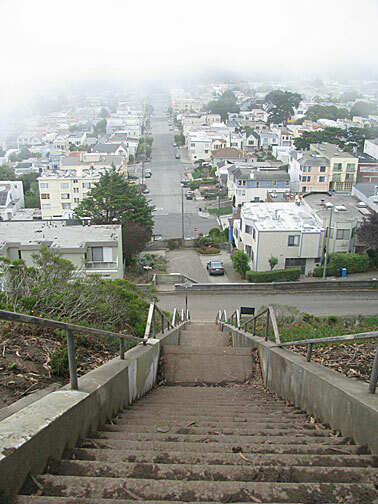 Foggy view down same stairs, 2008.